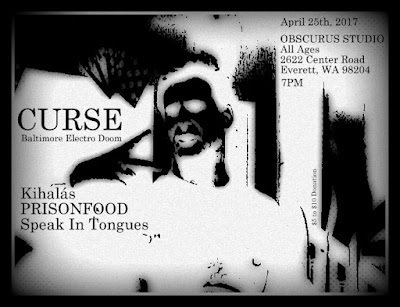 Everett Washington has a killer new DIY venue created and curated by intensely passionate fans and connoisseurs of the dark underground. OBSCURUS is not a bar, but you can byob w valid ID. All Ages are also welcome. The PNW has always been a haven and a hotbed for far out awesomeness. Come see a show of book your tour stop here and find out for yourself. $5-10 Suggested donations, more if you want less if you can't. Here's a killer diverse lineup hitting you from all sides of the dark underground music spectrum. For fans Industrial, Synth, Post Punk, Noise, and Black Metal. 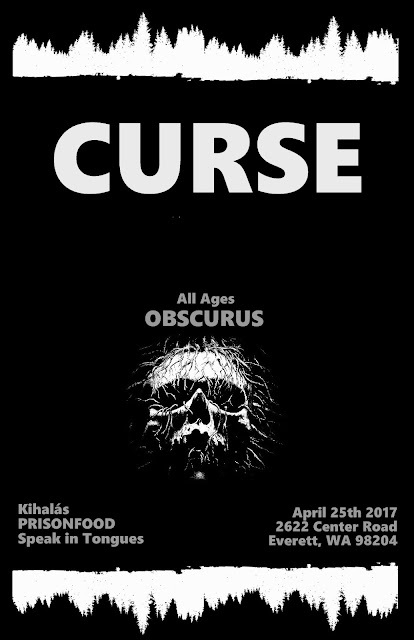 Come out to Obscurus in South Everett to help support Curse on their 2 and a half month long DIY tour! this is a tuesday night show and it ends at 10:30pm, so no mid-week hangover.